Are you at a crossroads in your motoring life? Are you exploring all the options on the table? Are you struggling to choose between a bike and a car? If you’re trying to decide whether it’s best to travel on two or four wheels, you should find this guide useful. One of the most important factors to consider when you’re weighing up the pros and cons of motorcycles and cars is practicality. What do you plan to use the vehicle for, and what does everyday life involve? If you have children, and you need transport to take them to school or play dates, a bike isn’t going to work as a primary form of transport. Likewise, if you tend to carry a lot of stuff, for example, sports kit, equipment for work, or prams and toys around with you, you’ll struggle if you have to sacrifice valuable boot space. If you’re a solo traveller, and you need a vehicle to commute a short distance to work, or you’re looking for a secondary vehicle, a bike may be a good option. If you’ve already got a car, and you love the thrill of riding a bike, there’s nothing to stop you owning both. You may assume that it’s cheaper to buy and run a bike, but it’s wise to do your homework before you buy. Think about what you’re going to spend money on, and then compare. 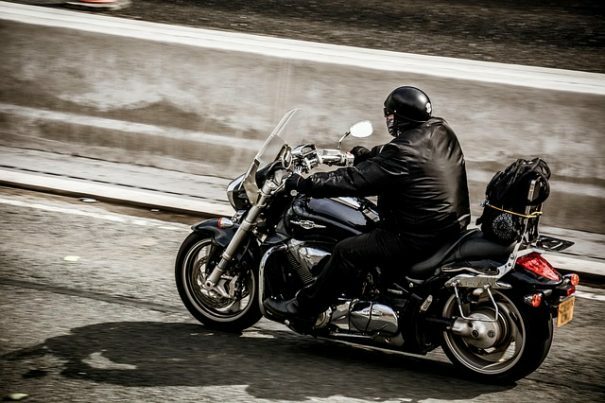 With a bike, the cost of the actual vehicle may be lower, but you’ll have to buy protective clothing, a helmet and boots, and you might need to invest in motorbike tyres more frequently. It’s also worth bearing in mind that your insurance may be higher than expected. Although bikes are often worth less than cars, the risk of accidents is significantly higher. If you’re looking for insurance for a car or a bike, it’s always beneficial to compare costs online first. You can use the Internet to look at policies from hundreds of different providers. With a car, you may be looking at higher purchase prices and maintenance costs, but the risk of accidents is lower, and a car might represent a better long-term investment. If you’re toying with the idea of buying a bike, the chances are that you’ve already fallen head over heels for the adrenaline hit you get when you put your foot on the pedal on an open country road. If you love driving a motorcycle and weaving your way through quiet lanes accompanied by fellow enthusiasts, it’s unlikely that you’ll get the same feeling from a car. If you can afford to own both a bike and a car, you can tick the practical box with a car and cover the fun factor with the bike. Are you trying to choose between a bike and a car, or are you hoping to be able to justify owning both? Consider the reasons why you need a vehicle and weigh up the pros and cons before you make a decision.